I love BBQ, but here in Philly it’s still a little too cold to pull out the grill. 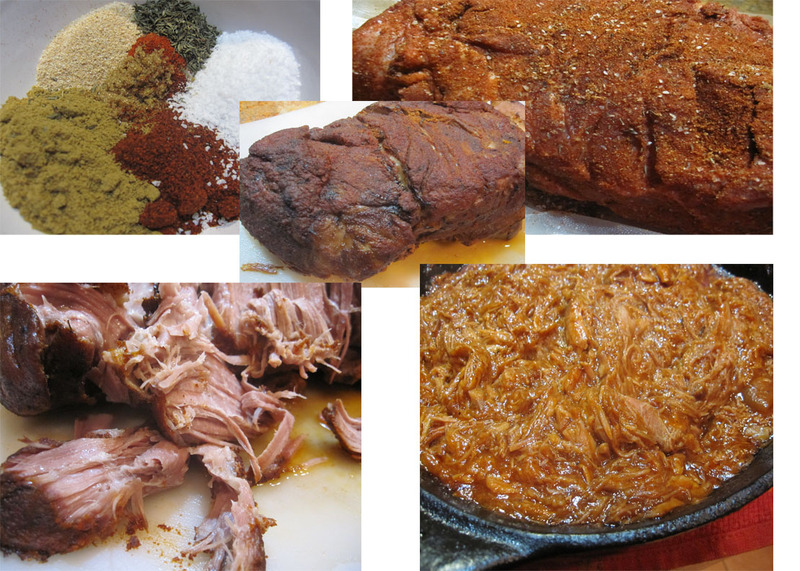 I wanted something with big BBQ flavor so I decided to make some pulled pork in the slow cooker. Slow cooker meals are so easy to put together and they always turn out with big flavor and lots of left overs! Remove pork shoulder from package, rinse and pat dry. Cover pork generously with spice rub and message into meat. Cover with plastic wrap and refrigerate overnight. Add onions and whole garlic cloves to slow cooker . Place pork shoulder on top. Add chicken stock and apple juice. Set slow cooker to low and cook for 8-10 hours. I left mine on for 9, but if you have the time the extra hour won’t hurt. Once pork is cooked, carefully remove it and place it on a cutting board and let it cool slightly. Using a fork shred meat. At this point it should fall apart as soon as you touch it. To a medium size pan add about 1 1/2 cups of the cooking liquid along with 2 cups BBQ sauce. Add shredded pork ( I ended up putting a little more than half of my 6 lb shoulder in and saving a little without the BBQ sauce). Let simmer for an additional 30-45 minutes until sauce has thickened and reduced. 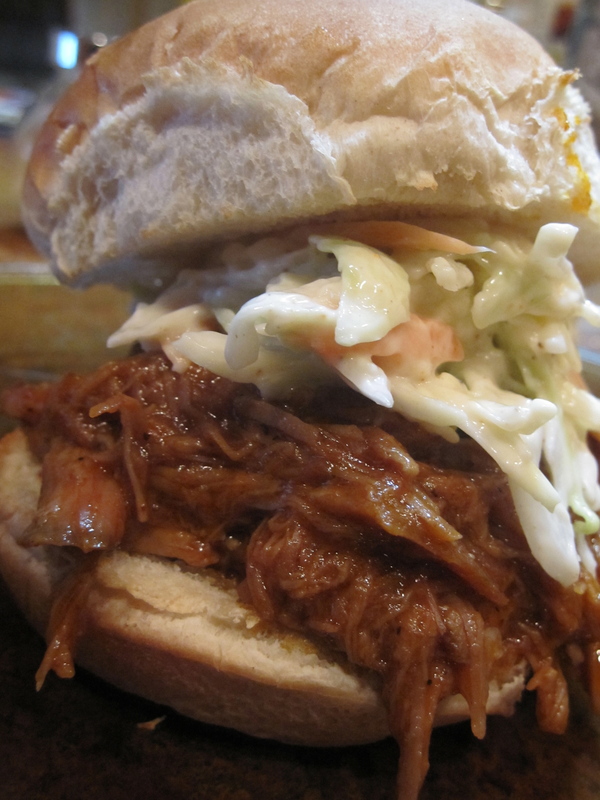 Now that your BBQ pulled pork is done just add to some toasted hamburger buns and top with coleslaw. I didn’t do anything special with the coleslaw, just your basic mayo mixture with a little cider vinegar. If you are missing summer, you have to try this recipe! Stay tuned for a round two recipe with leftovers.